Hostas hail from Korea, China and Japan. These hardy perennials grow well in the shade and boast foliage in a variety of textures and sizes. 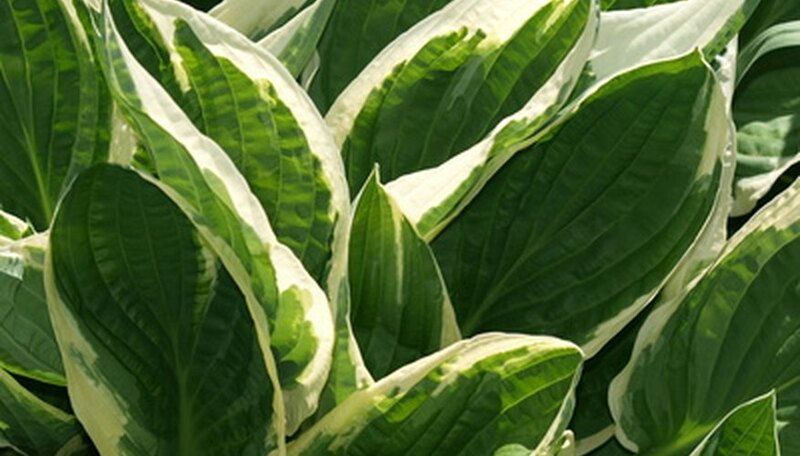 Hosta leaves come in an assortment of colors, some with variegation in combinations of green, blue, gold and white. This plant has a particular susceptibility to certain problems with pests and disease. Phytophthora fungus causes root rot. Root rot causes root destruction and damage to the hosta stem. This problem causes the hosta stem to look scaly and sometimes peeled. Discolored leaves and dead branches are all signs that root rot is present and advancing. The hosta’s leaves may droop or curl at the edges. Poorly drained soil is the typical cause of this problem. Prevent it by being careful to not overwater. Plant your hosta is a good mixture of soil and small gravel or bark to provide for good root drainage. If infestation has already occurred, treat your hosta with a fungicide like Truban. Fungicides also work as preventative medicine for root rot by warding off phytophthora before it has a chance to infest your plant. When applying any chemical like a fungicide, always follow the label directions. There are more than 100 species of root weevils all over the world. The most common species, black vine weevils, have black or gray coloring and vary in size from one-quarter to one-half inch. The adult weevils chew irregular notches on the edges of your hosta leaves, making them look nibbled. Adult root weevils are not hazardous to your plant’s health, but they can make it look unsightly. Root weevil larvae are the real predators. They nibble the roots and crown of the hosta and damage the root system. Prevent adult weevils by pruning off the lower leaves of your hosta to stop easy access to the plant foliage. A chemical treatment might be necessary to stop the weevil larvae. Consult with a professional exterminator to discuss chemical options. If one of your older, established hostas suddenly dies, voles could be the culprit. Commonly known as meadow mice, voles are small rodents with brown or gray fur that attack hostas from under the ground and feast on the roots and trunk of the plant, causing damage to the root structure. They damage the inner bark and can kill the entire plant. Voles do their chomping from beneath the surface of the ground, and deep mulch makes their work much easier. Prevent them from damaging your hosta by keeping mulch less than 2 inches deep around the base of the plant.